From Facebook and online ads, to YouTube and digital video, businesses have long had to compete with with the waning attention spans of their audience in the marketing arena. 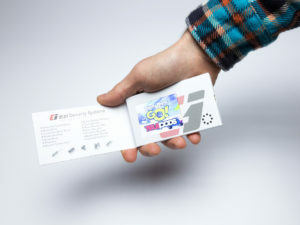 However, a newer technology offered by Structural Graphics and its online division, Red Paper Plane, might’ve just found that sweet spot. 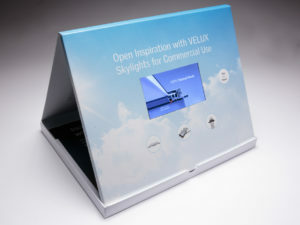 Video in Print combines the detail of print with the emotional reach of video creating a one-of-a-kind multi-sensory experience for prospects looking to forge a connection with your brand, service or product. But, just because your print piece has a video, it doesn’t mean that will guarantee its success. Design, message, packaging and production values contribute to the overall experience your customer or prospect has about your business. 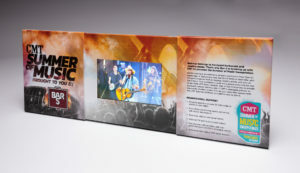 Here at Structural Graphics, we craft our Video in Print brochures by way of a high-tech, high-touch production process, allowing you to press proof your piece before shipping from one of our North American facilities. 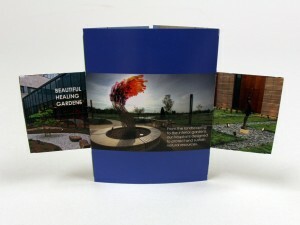 Considering adding a Video in Print brochure to your marketing campaign? Below we’ve compiled a few suggestions to get you started. Not all Video in Print players are created equal. Speakers, video screen, battery packs and wiring can vary greatly in quality. Ensure your supplier uses top quality components and has a thorough quality control in place. 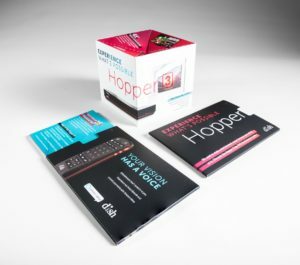 We proudly have a 10-year relationship with our Video in Print player supplier. The power is in the playback. Make sure you choose the right file formats and the right settings for your video playback. We typically recommend a MP4, MOV, AVI or WMV video file format and a sound level of 75 to 80 dB. 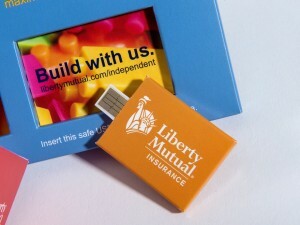 Also, double check that your supplier includes a USB cable for recharging the video brochure. Short and sweet can’t be beat. Again, keep your audience’s attention span in mind. Video is a great way to deliver a 30 to 60 second message, but anything longer than that and you might want to consider breaking it into individual video “chapters”. Don’t forget the call to action so you can track responses. Source global, but inspect and ship local. Because Video in Print players are sourced almost exclusively from the far East, they’re often powered down to 30 percent of rated capacity to meet International Air Traffic Association regulations. This can negatively impact playback quality. At Structural Graphics, we fully re-charge our batteries, then ship them to our customers. Our battery configuration is approved by the US Post Office and is CE ROHS certified, which means that our product has met the standards for consumer safety, health and environmental requirements in the U.S. and Europe. Experience, there’s no substitute for it. 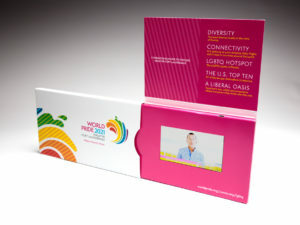 For more than 40 years, Structural Graphics has designed, produced and engineered unique, interactive print communications for some of the top companies in the world. Simply put, we know print. 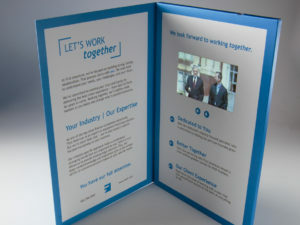 Take a look at our Video in Print portfolio and contact us for more information. We’ll show you how to be distinctively different with Video in Print advertising. 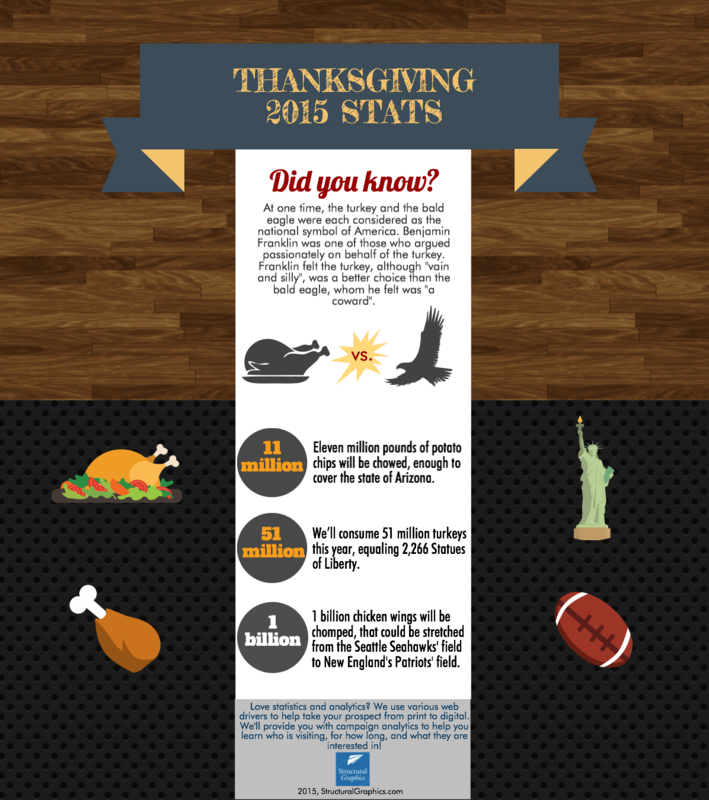 How does a company stand out at a trade show with a sea of many other vendors to compete with? 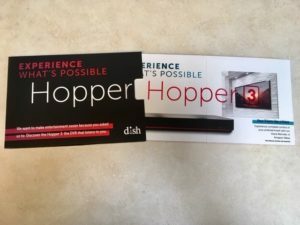 Dish Network used the pop-up cube as a unique handout at the CES Show in Las Vegas. They kicked it up a notch by delivering the cube inside a half-sleeve, giving the recipient a sneak peek of what was on the inside. 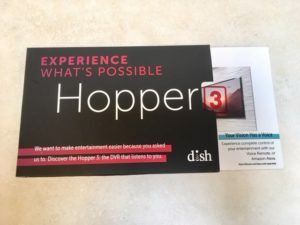 As the cube slides out, it immediately pops into shape delivering information about Dish Network’s award-winning DVR, The Hopper®. Click here to see it in action! Are you ready to generate some buzz and awareness for your company? Today’s automotive industry moves fast and furious, so it’s important to showcase your vehicles in new and creative ways. But how do you show change and innovation on paper? You don’t. You show it WITH paper. 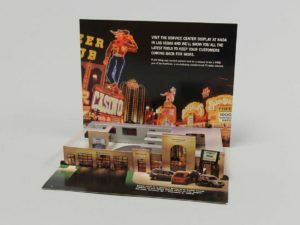 The automotive company was looking to encourage people to visit their service center display at the National Automobile Dealers Association’s Las Vegas convention in 2003. To do this, they cleverly employed several marketing techniques that can apply to any brand or industry. Stay true to your roots. Chrysler, which has a strong brand identity, chose to showcase a miniature version of a Chrysler dealership right down to the cars, service desk and employees. Never underestimate the ‘WOW Factor’. 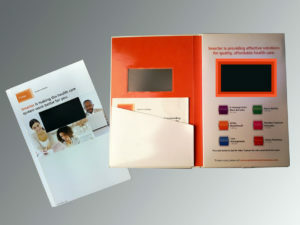 Pop-up mailers are a really unique way to capture the attention of your audience. This particular one ships flat but, because of its interactivity, detail and uniqueness, it also surprises and delights. Less can be more – when it’s done right. Sometimes it’s just better to get to the point. To really maximize the space on this mailer, Chrysler chose to include short bursts of essential information instead of paragraphs of marketing speak. 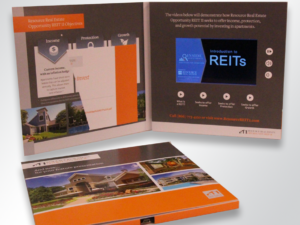 Rather than trying to convince attendees to visit its display, the team chose to let the excitement of the mailer speak for itself. Include a call to action. 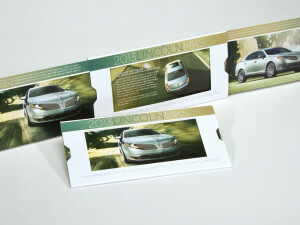 In this mailer, Chrysler is up front about what it wants – for people to visit the company’s service center display at the conference. Offer an incentive. We all know that people generally love to win free stuff. So, instead of just asking conference attendees to visit Chrysler’s display, they wanted to make the visit worthwhile. To make their call to action even more powerful, the company also advertised that they would be offering a chance to win a free year of ServiceVision. Don’t forget the basic information. Between the bells and the whistles, it’s easy for marketers to get caught up in the excitement of a piece and forget the most basic of information. Always include the date, time and location (if applicable) of any event you or your business are/ is attending. Catchy openings are key. Embracing the convention’s location, Chrysler took inspiration from Las Vegas’ neon lights and showgirls. The mailer’s cover is colorful and hints at the purpose for sending it out. It also beckons the recipient to open it up to see what’s inside. “Okay,” you might be thinking, “that’s great. But who decided to take a pop-up and turn it into an ad?” Which is a reasonable question — it’s a pretty genius idea. Although it has been said that digital is taking over the marketing space, it’s undeniable that our work really POPS, gets attention and drives to digital. Believe it or not, Structural Graphics did not start with an advertisement. 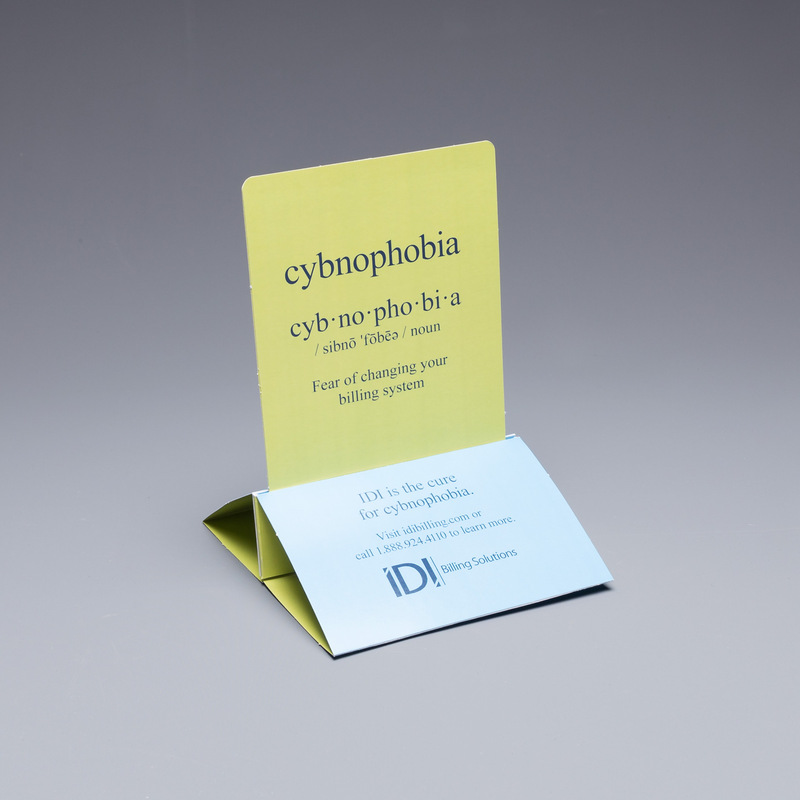 It all started with a fascination of pop-up books and paper that led us to engineer a new medium for the world of advertising. 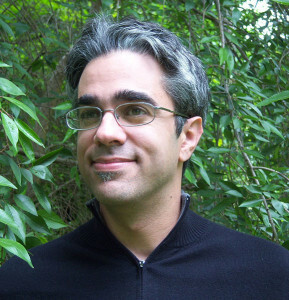 “Structural Graphics was the first company ever to introduce interactive print collateral for advertising and marketing on a commercial scale, and so can claim having “invented” the medium for use in that space.” he says. Ethan sums it up perfectly. Times change. So does Structural Graphics. 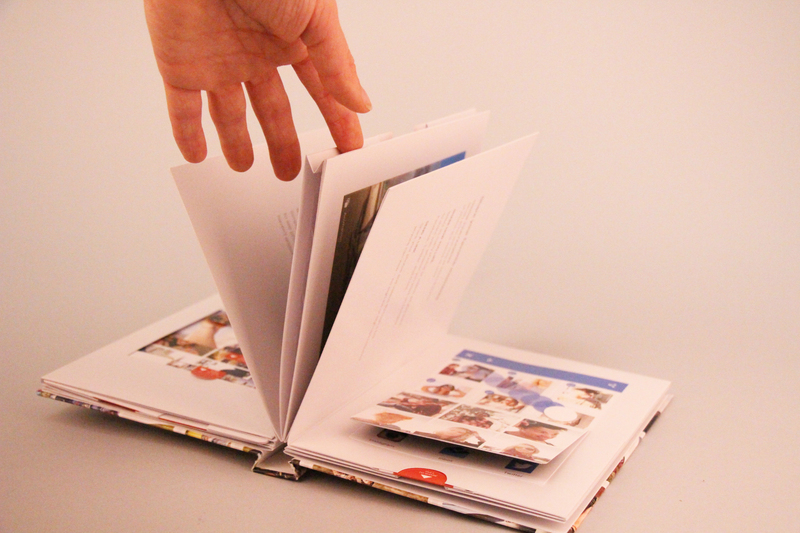 That’s why we were thrilled when Google came to us to produce a popup book for their new app, Google Photos. 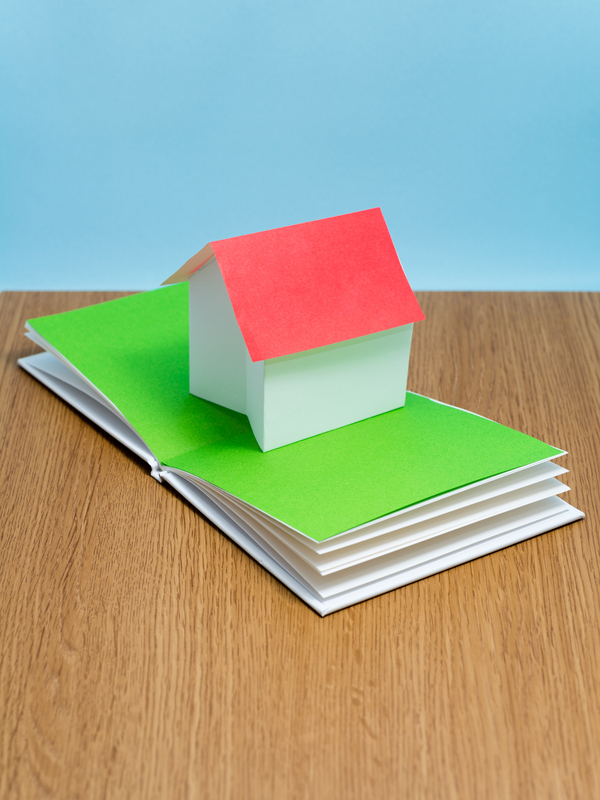 We can incorporate technology in print — videos, sound, web keys, NFC, you name it, or take it all the way back to our roots with our love for pop-up books.